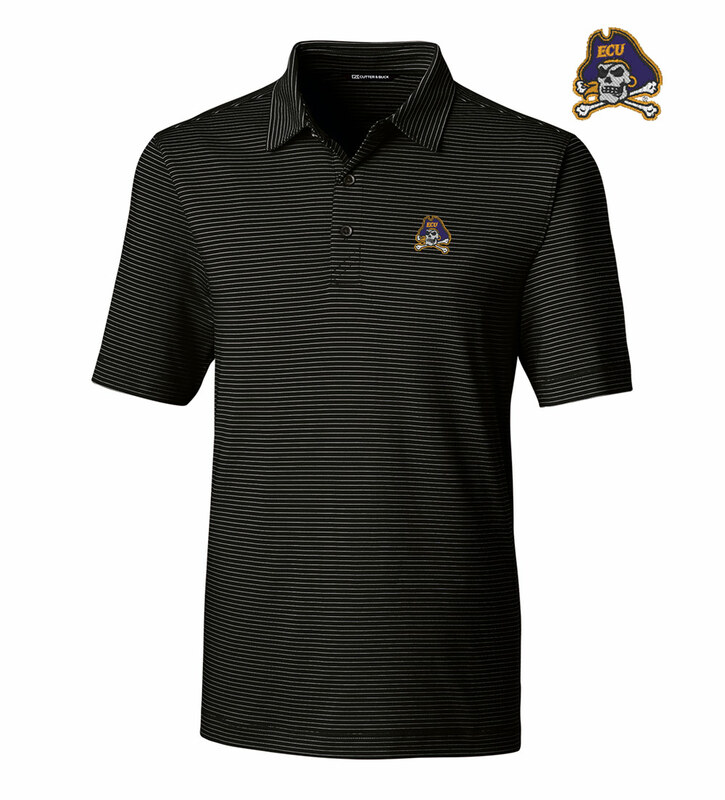 This versatile, finely striped performance polo features an officially licensed embroidered East Carolina University logo on the left chest. It's a great way to support your team, no matter where life takes you. Made with CB DryTec 50+UPF fabric and styled with a knit collar, three-button placket and side vents. 96% poly, 4% spandex. Machine wash. Imported.